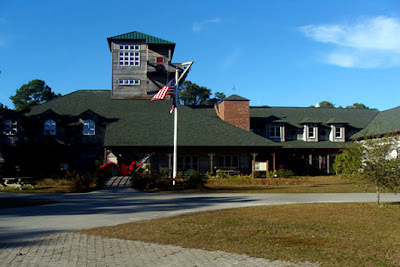 A facility that enhances the community, state, and region by creating a resource which brings together the historical, cultural, artistic, environmental, and educational elements needed to preserve the rich heritage of eastern North Carolina associated with the Core Sound area. The Core Sound Waterfowl Museum & Heritage Center. Photo by Lois Carol Wheatley.